The goal of this game is to get the white robot through the rooms to escape from the evil robot, if you are caught by the red robot you die and return to the main menu. 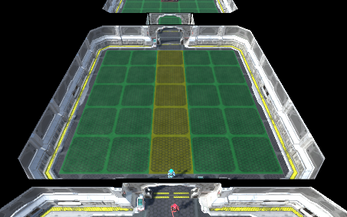 To move the robot you will get some pathsections for each room, which you must place correctly, so that there is a path from the robot to the door that leads to the next room. To install you simply download the AIWeaver.zip file and extract it, then you just have to open the game by opening the AIWeaver.exe file. The escape key exits the game to the main menu. There is no button that actually places the pathsections yet, they work where they are.